Hi everyone, and now we are in September! Isn’t the year flying by so fast?! We have another exciting month ahead with three exciting events happening – the redemption of the coupons earned during August Bonus Days, the launch of the new Holiday Catalogue and the Dashing Along Promotion. Wow! If you earned a Bonus Days coupon code during August, congratulations! 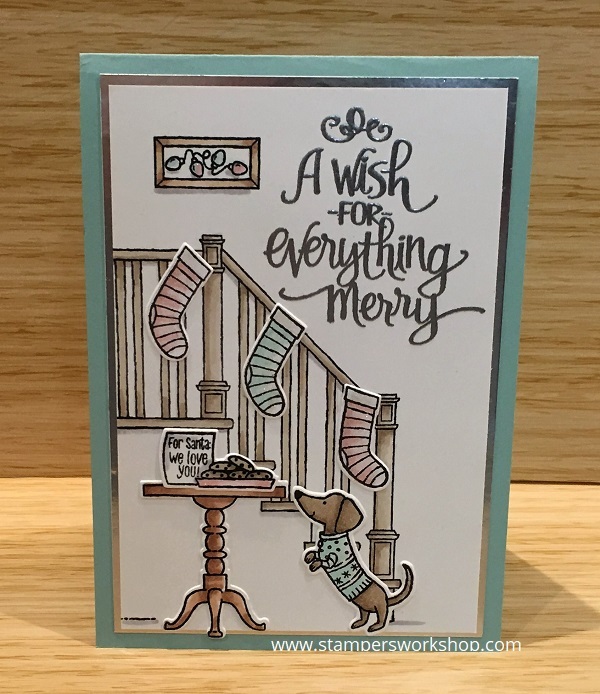 You would have received an email from Stampin’ Up! with your coupon codes. Use the $9.00 coupon codes when you checkout for a discount on orders placed between 1 and 30 September. Stampin’ Up! has shared some really cute cards using this paper and I wanted to share one of my favourites. As well as the above DSP, the card also features products from the super cute Dashing Deer bundle which will be available from 05 September 2018. Isn’t it GORGEOUS! 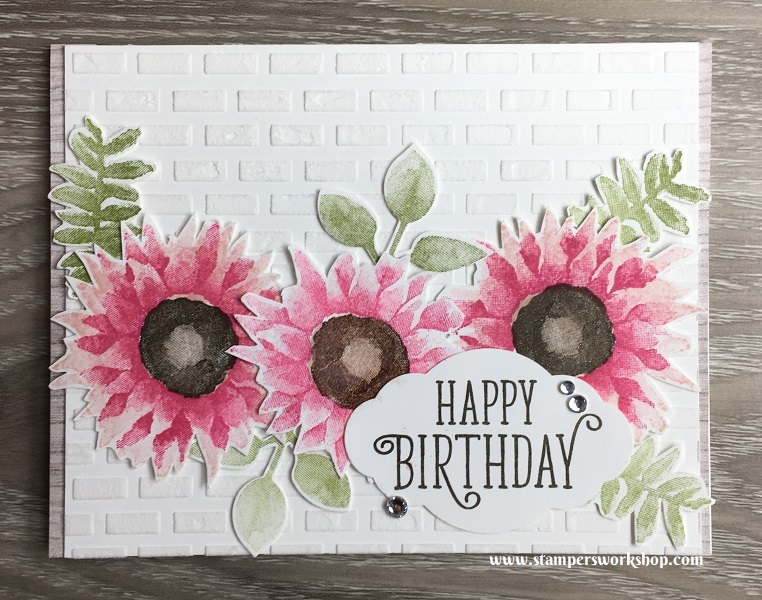 I’m not very good with layering like the Stampin’ Up! artists are – they are so inspiring! Speaking of the Holiday catalogue, there’s not too much longer to wait. YAY! The catalogue will go live on 5 September 2018 and will run through to 2 January 2019. You are going to LOVE it! Something for everyone within its pages, and there are many items which can be used year round too which I LOVE! I’ve sent out copies of the catalogue to those of you who have ordered from me within the last 6 months. You should have received your copy by now so please let me know if you haven’t and I’ll post out another one to you. For the month of September, please use the code above if your order is less than $250 to receive a little gift from me. If your order is over $250, do not use this code as you will be entitled to Hostess Benefits on your own order. (And don’t forget, if your order is over $400 you will also qualify for the Dashing Along Designer Series Paper). Another jumbo post! Thanks for sticking with me through to the end! One of my favourite bundles from the Holiday catalogue this year is the Ready for Christmas bundle. I love it when you can create little scenes with stamps and dies. I decided fairly early this would be the set I’d use to make my cards however, it took me a while to settle on the design and colour scheme. In the end, I decided to move away from the traditional colours of Christmas and try something a little different. In fact, the colours I have chosen actually match my Christmas tree decorations this year (which I would show you but I haven’t put it up yet. *fingers crossed* for this weekend!). I have actually kept the card quite simple. As with the last Christmas card I shared, I recommend working in batches as this will help streamline the process. I stamped up all the images, coloured them all (nothing too fancy). 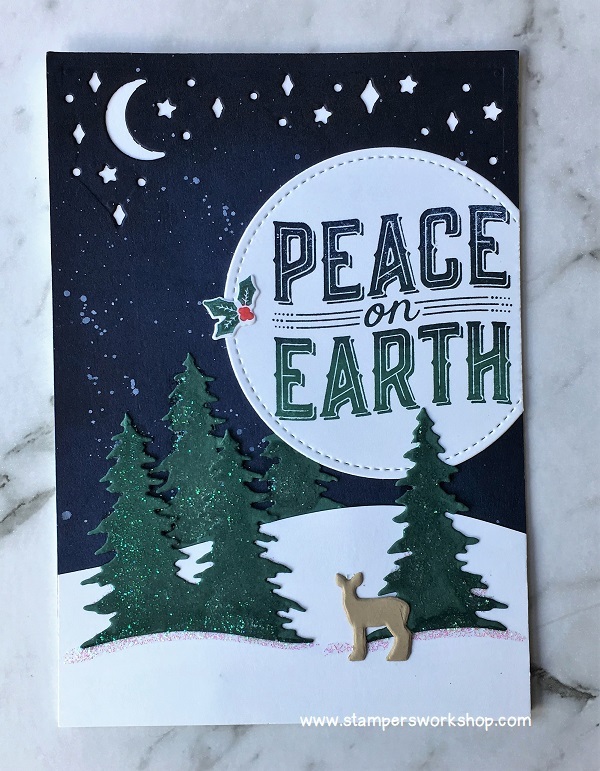 I embossed the sentiment (how I love the Silver Stampin’ Emboss Powder – it melted like a dream!) and then it was time to die cut. I die cut the stockings, cookies, table and the cute little dog. Then it was a case of bringing all the components together. I hope they like it. I really had fun colouring all those images. I’d love to explore this set more and look at using some of the other images in the set such as the Christmas tree and the presents. There is just so much packed into this bundle. If you love this bundle too, it is a last-chance item and is available while supplies last. What this means is that the stamp and die set will no longer be available as a bundle with a 10% discount. After 2 January 2018, you will still be able to buy both but not at the discounted price. 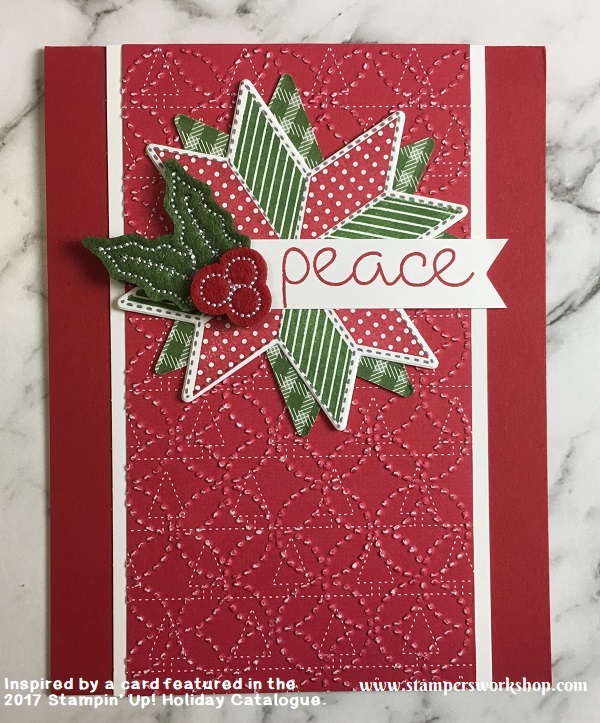 Hi, today I am sharing one of the Christmas Cards I am making this Christmas season. 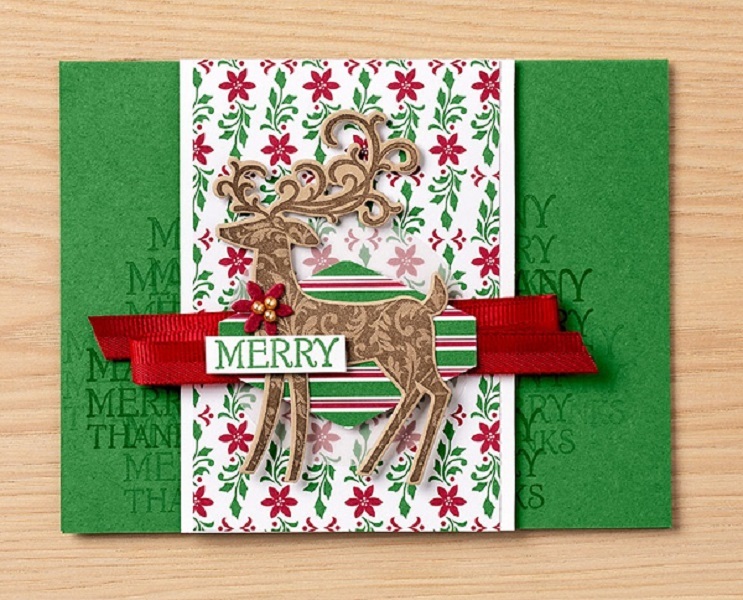 This set of cards features the retiring Carols of Christmas stamp set and the coordinating Card Front Builder Thinlits dies. These products are available as a bundle or separately. 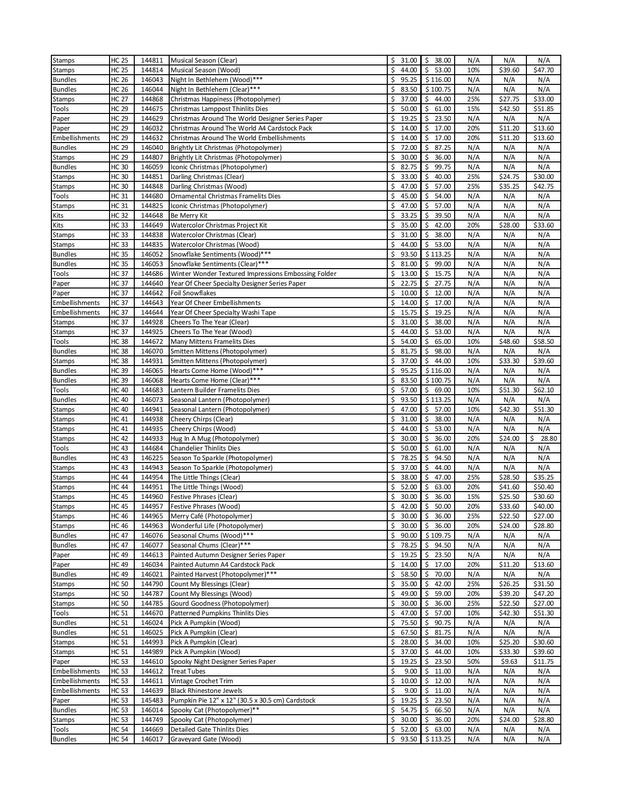 It is so sad to see them on the retiring list. I think they have been such a great set. I was inspired by Holly Stene with regards to the colour choices and the overall design of this card. I hope my card inspires you as Holly’s card inspired me. As I needed to make quite a few of these cards, I planned out the quantity of each item I needed then set to work. It is MUCH easier to work in batches; do all your stamping at the one time and then all of your die cutting at the one time, for example. As I had quite a lot to die cut, I cut the cardstock so that I could run a few different shapes through at the same time. This also minimised my effort. I strongly recommend working in this manner and the card will come together quite quickly once all that preparation work is done. The card base was made using Thick Whisper White cardstock. The next panel was cut from Night of Navy. I used the stars and moon die to create the night sky. I felt the panel looked a little flat so I sponged Night of Navy ink to the top and part way down the sides. I then squeezed out a little of the Whisper White re-inker onto an acrylic block and used the aqua painter to add water to the ink. When it was quite inky, I splattered it over this panel and put it aside to dry. Next up, I stamped the sentiment. I used Night of Navy and Tranquil Tide. To create this beautiful dual-toned look, simply ink up part of the sentiment with one ink and then the rest of the sentiment with a different colour. You could use sponge daubers to apply the ink if you prefer but it is really easy to just tap straight onto the inkpad. When doing this technique, I do recommend using the lighter ink colour first and then the dark colour as you won’t notice any colour transfer. Looks so effective, doesn’t it! I die-cut the sentiment using the Stitched Shapes Framelits Dies (I *love* this die set – I use it a LOT!). As I had already done all of the die cutting, it was really just a matter of assembling the card as I had planned. 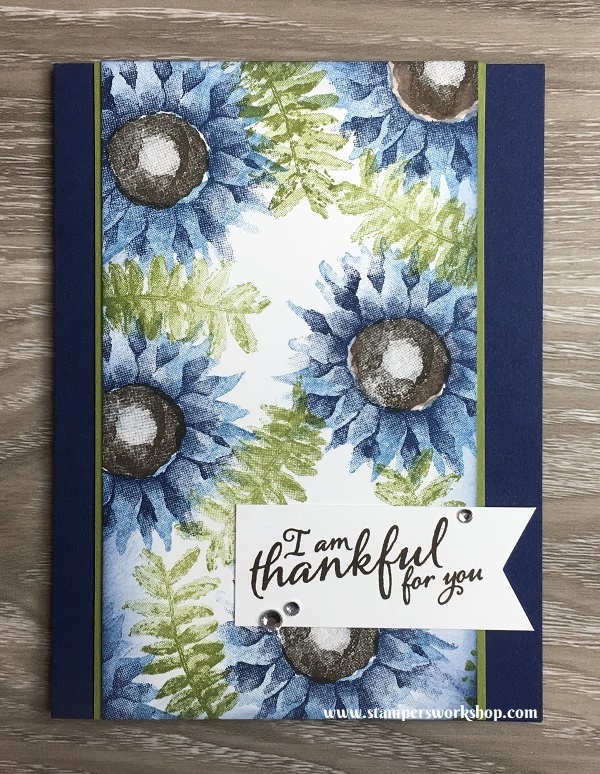 I finished off the card with some (non-Stampin’ Up!) glitter glue. You could use Wink of Stella but I have a very large old bottle of glitter glue which I am slowly using up. 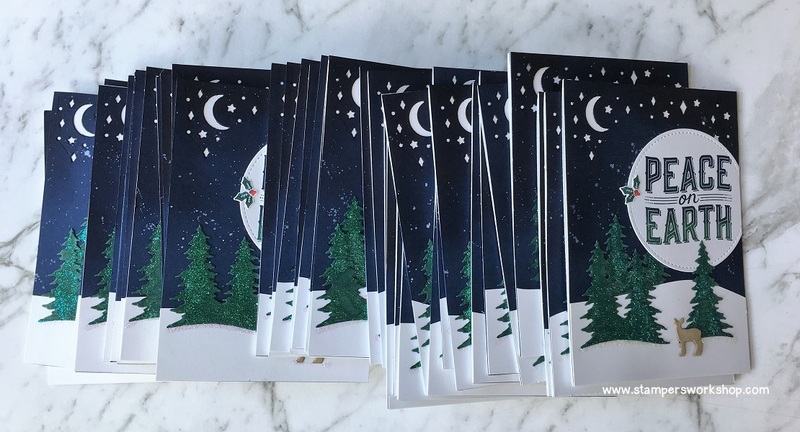 Hope you like this card because, if you have ordered from me, you will be receiving one of these Christmas cards in the mail, along with the new Occasions and Sale-A-Bration catalogue. They should be being posted early next week (I’m still waiting for them to arrive) so keep an eye on your letterbox. Thank you so very much for being such a great supporter of my small business. Finally, Stampin’ Up! has stated December 11, 2017, is the last day to ensure pre-Christmas delivery. 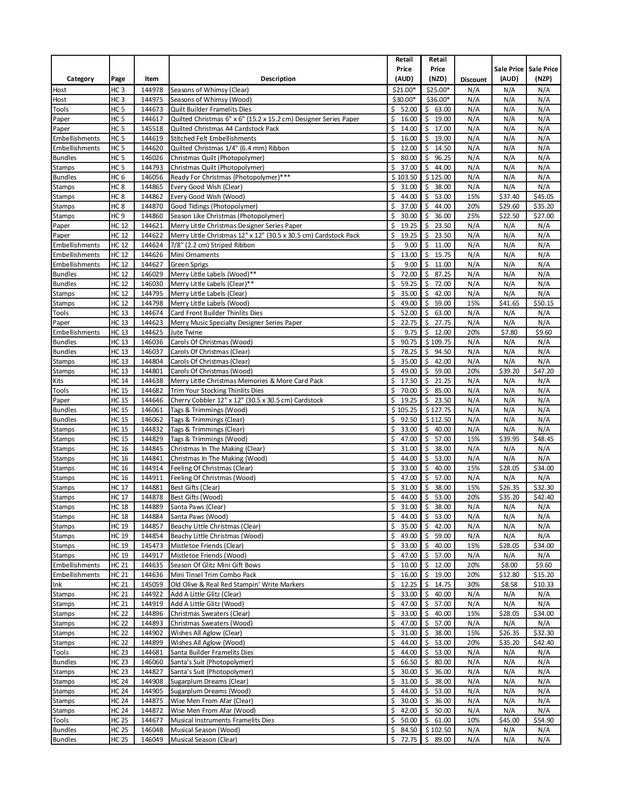 Listed below are the supplies used to create the above project. If the stamp set (or other product) comes in different types (such as clear mount or wood mount) or as a bundle, I link to all options. The Year-End Sales Event is your opportunity to take advantage of special year-end deals on retiring and surplus items! This promotion features a selection of items that are last-chance and limited-inventory, so if there are items you have been wanting from the Holiday Catalogue now is the time to get them. This list contains all of the retiring and surplus items featured in the Year-End Sales Event. Retiring products will no longer be available for purchase after 2 January 2018. For the most up to date information and stock availability, please visit my online store at Stampers Workshop. Retiring items from the 2017 holiday catalogue are available while supplies last. * Amount in Stampin’ Rewards; host sets can only be purchased using Stampin’ Rewards from a qualifying party. ** Bundle includes some products that are not retiring; refer to the Retiring List to see what individual products are retiring. AC: From the 2017-2018 annual catalogue. Select items from the 2017–2018 annual catalogue are not retiring; however, after 2 January, they will no longer be available at a discounted price. Wow! Who doesn’t love a sale?! What a great way to kick off December! Remember some of these items will only be available while supplies last so if there is something you’ve had your eye on, get in early to avoid disappointment. Hi, who’s ready for Christmas? Not me! lol I am, however, starting to think about it and all of the things I need to make. On my to-do list is make Christmas cards. I have three ‘similar but different’ cards inspired by a card featured in the current Holiday Catalogue. 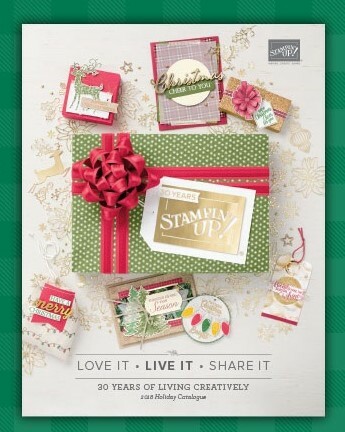 The catalogues produced by Stampin’ Up! offer a vast number of ideas to inspire. You are welcome to copy the ideas but make sure you give credit where credit is due, especially if you post the card online. 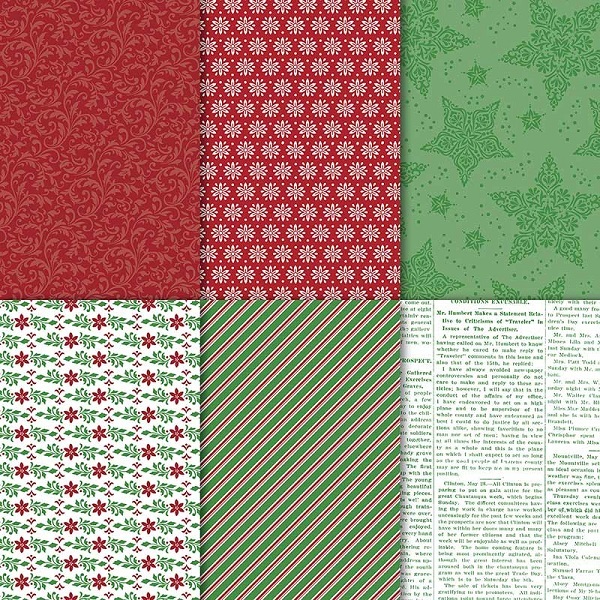 What I loved most about the Christmas Quilt bundle is that while it makes darling Christmas cards, you can use it all year round…how fun would it be to give to the seamstress or quilter in your life! However, first things first, let’s start with Christmas cards! All three cards are very similar as you can see. 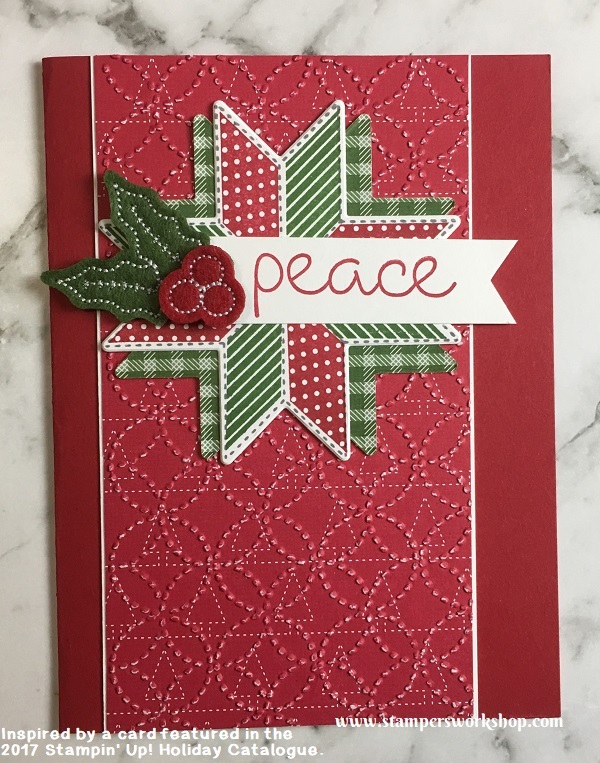 I took a sheet of Designer Series Paper from the Quilted Christmas 6″x6″ paper pack and embossed it with the Quilt Top Textured Impressions Embossing Folder. 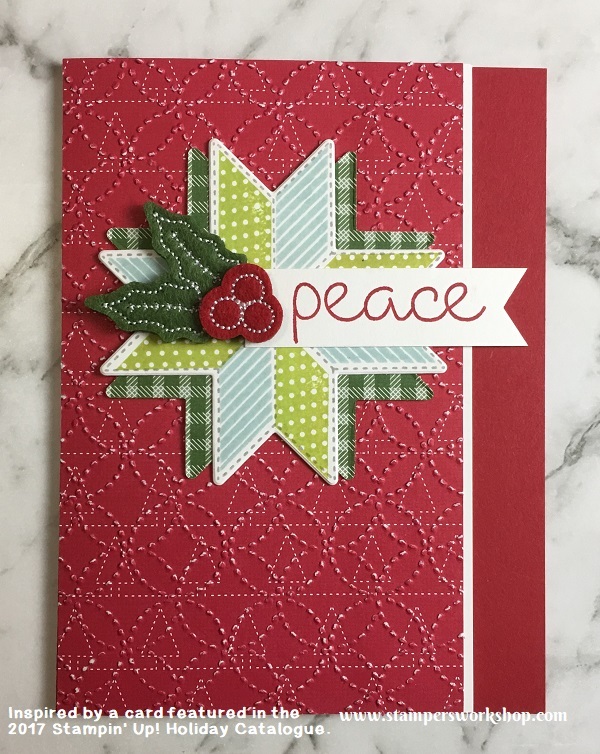 I tend to use the embossing folders with cardstock but, I’m sure you will agree, they create a fabulous look when used with patterned paper. I stamped the image (TIP : The stripe pattern and the dots pattern stamps fit into the quilt shape in a particular way. Make sure you have the stamp lined up with the correct segment before you stamp it. Ask me how I know?) and then die cut them out before assembling all of the elements together. (TIP: When adding the stitched felt embellishment be sure to use either glue dots or fast fuse (which I used directly on the paper and then stuck down the embellishment). Do not use a liquid glue. It will just soak into the felt). For this card, I used the colours as shown in the example in the catalogue. I like the brightness of the Lemon Lime Twist and Soft Sky inks. For my second card, I returned to more traditional colours and played around with the location of the patterned paper. For the final card, I, once again, varied the patterned paper element. I also rotated the quilt design. So there we have three ‘similar but different’ cards inspired by the 2017 Stampin’ Up! Holiday Catalogue. I’d love to know if you have a favourite of the three! Happy World Card Making Day! Don’t you just love that we have a day especially for us! A time to celebrate our hobby for it really is an amazing one. We get to be creative, no matter our skill level (or rather, our perception of our artistic abilities), and we get to share something we have made with our own hands (and made with love), with those around us. I love it! Today, I have another of my Painted Harvest cards to share. 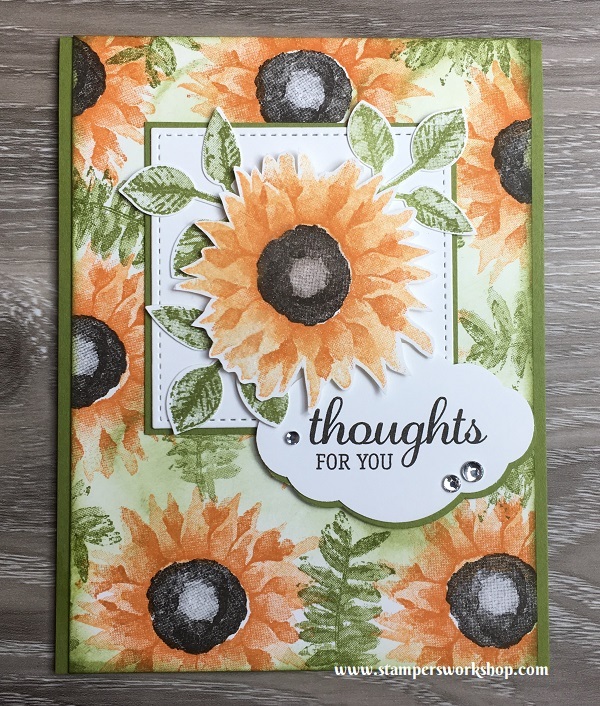 I thought I should share a card which was created with a more traditional sunflower colour combination. I didn’t quite get there but since I’ve used shades of orange, I am getting closer! 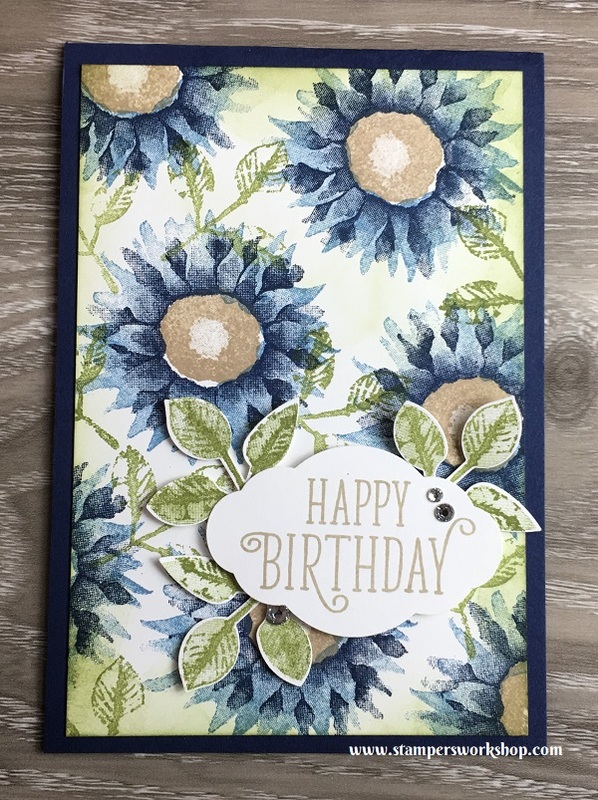 You’ll notice the card background is quite busy and bold so I needed to find a way to make the centre sunflower pop up against it. The stitched square (from the Stitched Shapes Framelits set) was the perfect way to put some separation between the background and the flower. I then used Stampin’ Dimensionals (either size will do) to pop up the flower. It is a busy card but I think this helps pull it together. You could also place a sheet of vellum over the background to really soften it if you still think the background is too much. What are you all doing for World Card Making Day? I am experimenting with the new Stampin’ Blends (currently only available to Demonstrators until October 15, 2017 so if you want to be one of the first to use these fabulous new markers, please consider joining my team). I hope to start sharing some projects using the markers soon. Unfortunately, no general release date has been announced as yet but hopefully, it won’t be too long! And with that, I am off to create! 🙂 Thanks so much for stopping by today. Hope you all have a fabulous World Card Making Day! Oh wait, don’t forget the fabulous World Card Making Day specials which are still available until October 10, 2017 as well as the Designer Series Paper special which is running until the end of the month. Hi, I know I have been posting a LOT of cards using the Painted Harvest bundle set lately (and truth be told, I have more to come)! You’d think I didn’t own any other stamps…and we all know that isn’t true. 🙂 I really want to share how fabulous this stamp set is and how you can achieve so many different, and wonderful, cards using it. I LOVE when I can really maximise my investment in a stamp set and I really want you all to be able to do the same. For today’s cards, I’ve stepped it up a little by using a stencil and embossing paste. SO FUN! I had envisaged a scene whereby the flowers climbed their way up a brick wall. The “brick wall” stencil from the Pattern Party Decorative Masks set was the perfect choice. I started off by creating two backgrounds using this stencil – one in portrait and one in landscape orientation. One of the reasons I make multiple cards is that it is easy to do so when you already have your supplies out, especially if it is something ‘messy’ (like embossing paste) or where I think I might make a mistake. You might notice all of the flowers, on both cards, are not the same size. I had wanted to layer the flowers but thought they might have looked a little odd if they were the same size. To ensure they were a little different, I did not stamp the base layer, only the top stamp and then fussy cut around the outside. I think this tiny detail really helps pull the look together. 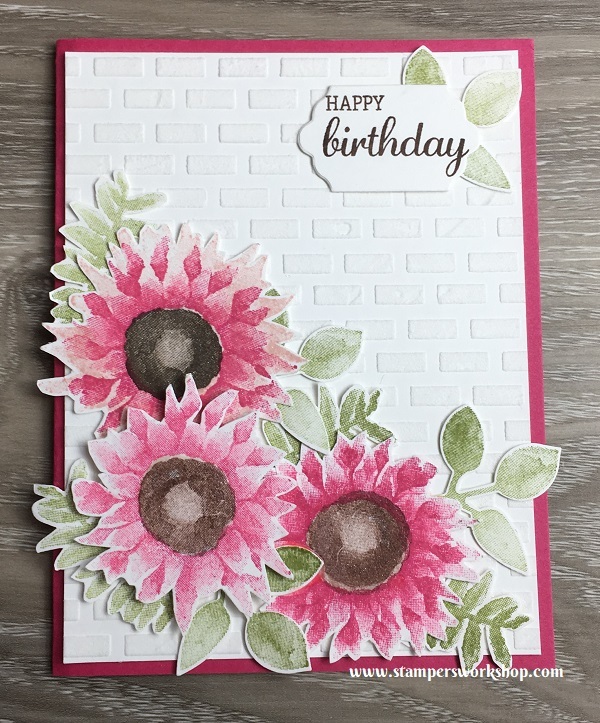 For the second card, I had originally thought of adding five flowers in front of the brick wall but when I had it all placed it looked a little too busy. I decided to stick with three (remembering that a odd number of elements generally looks better than an even number) and it looks so pretty! Don’t you love how two cards using pretty much the same products can look so different! Stamping is so much fun! 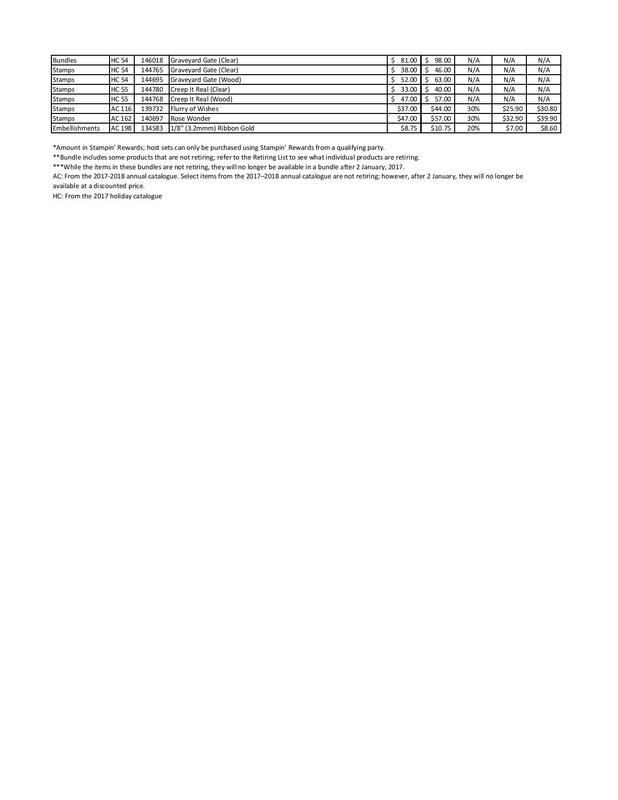 Listed below are the supplies used to create the above project. If the stamp set comes in different types (such as clear mount or wood mount), I link to them both. Hi, it has been a while since I’ve shared a “same but different” card trio but today seemed like the perfect opportunity as I am still crafting up a storm with the fabulous Painted Harvest stamp set and coordinating leaf punch (also available in a bundle). So, yes this does mean a few more posts to come using this wonderful set! I truly hope you are all getting as much enjoyment from this set as I am. 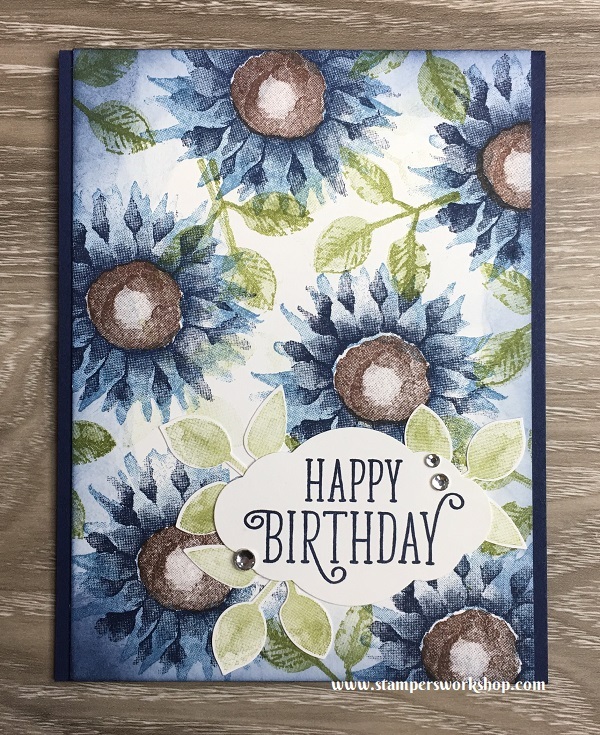 Whilst it is fun to fussy cut out the sunflower image and use it as a focal point on a card, it is equally beautiful when used to create a background piece. 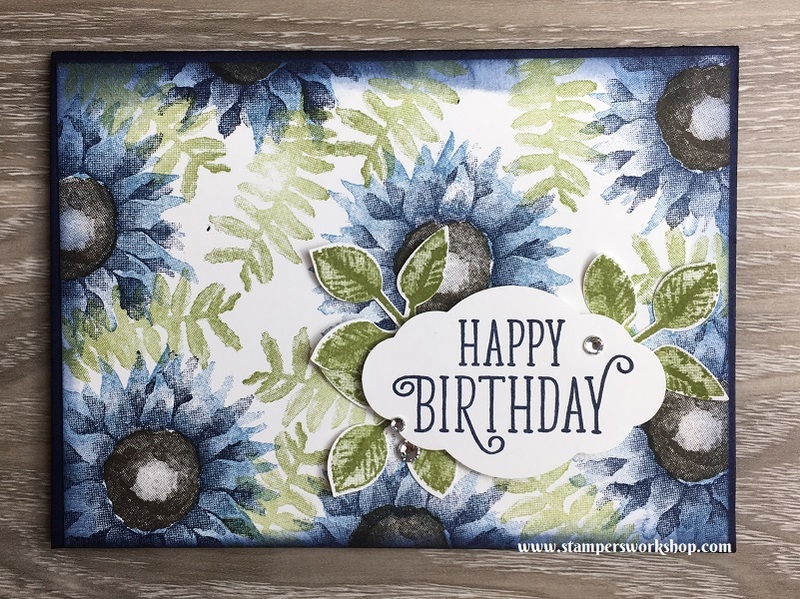 For the three cards, I’ve used one of my favourite colour combinations – Marina Mist for the base layer, Night of Navy for the details, Old Olive for the leaves. The only variation is that I varied the centre of the flowers on each of the cards – Chocolate Chip, Crumb Cake and Early Espresso. I’m sure you will agree with me that each combination looks fabulous! For the first card, I inked around the edge of my stamped panel with Night of Navy. Doesn’t it bring the panel together beautifully! I added the leaves but you might notice I didn’t stamp the detail. Whilst the stamp set is designed to use the two stamps together (the base and then the details), don’t feel like you need to use both. You can really extend the use of your stamps by using them in different ways. I finished off the card with some rhinestones. For the last card, I decided to ink around the edge with the Old Olive ink just to see how it would look. I think it looks fabulous. The rest of the card was assembled like the other cards. There we have my “same but different” card trio. It is so fun to experiment with different looks. I love making the most of the stamp sets I have purchased. So, yes, be on the look out for more Painted Harvest cards coming soon. A quick reminder: don’t forget to take the opportunity to score some bargains, and stock up on some essentials, during the World Card Making Day and Designer Series Paper Sale!